I have always been interested in my origins – not as far back necessarily as Out of Africa, but certainly way further back than my probable earliest known ancestors (let’s say Gervaise de Rathe in the mid-thirteenth century!). The fact that I am here at all is pretty amazing when you think about it. Primitive people found their way to Scotland over a period of millennia; they had to live through inclement weather with only basic food, clothing and shelter; they had to be self-sufficient; they had to move around without transport and roads in difficult terrain; they had to survive birth and childhood, pestilence, disease, ill-nourishment – without the benefit of knowledge and medicines; they had to avoid being killed in battles and wars and skirmishes with wild animals they were hunting. The chances of survival, certainly to any decent age, were probably pretty low - even for the elite of the times. In the late 1690s, because of famine, cold and crop failure, 25% of the population of Aberdeenshire perished. When the Black Death came to Scotland in 1349, one third of the sparse population succumbed - and it returned sporadically until 1455, taking more lives with it. In the 13-15th centuries, the plague notwithstanding, to live to forty or fifty years of age was an achievement - though, of course, people would have had several children by then - and some people did live to the ripe old age of eighty or so. And we know that two or even one hundred years ago many of our relatives still “died young” – so what was it like five hundred, a thousand, ten thousand years ago? In a couple of blogs and readings on this site, I have talked about our origins - whether we are descended from Romans, Vikings or Normans in more recent times, relatively speaking, and also looking further back for the British (and, of course, therefore many Americans, Canadians, Australians etc). Naturally, I am particularly interested in Scotland and since there are plenty of books and websites covering Scotland’s prehistory and origins. I don’t intend to really go into that here, but I think it is worth saying a few words to set the scene so to speak and I have done this on a separate page on Scotland’s Prehistory. Having read the book The Origins of the British by Stephen Oppenheimer, in which his genetic synthesis shows the majority of Celts (Irish, Scots, Welsh and Cornish) arrived in the British Isles via the Atlantic coastal route from Ice Age refuges including what is now the Basque country, I wanted to find out more about me and where I came from. 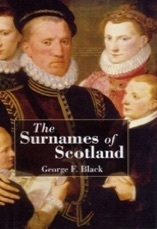 I read other books such as The Face of Britain by Robin McKie which discuses how our genes reveal the history of Britain; The Scots: a Genetic Journey by Alistair Moffat and James F. Wilson; Saxons, Vikings and Celts: the genetic roots of Britain and Ireland by Brian Sykes; and The Seven Daughters of Eve by the same author. All fascinating reads. So, impressed by the work of Brian Sykes I had my DNA, both paternal and maternal, tested with his lab Oxford Ancestors. For those new to the study of genes (like me!) I have given some brief details of mitochondrial DNA (mtDNA) and Y-chromosome DNA (yDNA) on a separate page. Although the results of the analysis of my Oxford Ancestors DNA test don’t themselves take up much space, I have chosen to put them on two pages – one for my paternal line and one for my maternal line. Naturally, it will be my Y-chromosome signature that will be of most interest to any other Raitts! While the results should be in line with those from other DNA testing services, it should be noted Brian Sykes of Oxford Ancestors, based on his extensive research, accords names to the various Daughters of Eve and also to the male Y-chromosome clans and so I have used those too. Unfortunately and disappointingly, I did not find out as much as I had hoped (perhaps I was naïve and expected too much or didn’t do sufficient research) and what I really need to do is to have some deeper analysis done, if possible, to learn more about my lineage. I am not so bothered about finding out whose DNA sequences might match my own (the surname will often be an indicator) – though this will, of course, be interesting – but it would be nice to learn more about remote historical ancestors and hence their lives. So I thought I would also have my DNA tested by ScotlandsDNA (formerly EthnoAncestry) or Family Tree DNA which gives a number of Y-SNP markers (not used by Oxford Ancestors) from which a deeper analysis of ancestry can be done. It is the people behind EthnoAncestry/Scotland’sDNA who have written the book The Scots: a Genetic Journey mentioned above. The study of DNA is still evolving and there is an increasing tendency for companies in the field to merge or consolidate - viz. EthnoAncestry whose new name, Scotland’s DNA, should not be confused with the similar sounding Scotland DNA Project which has itself just merged with the similar sounding Scottish DNA Project which now forms part of Family Tree DNA. In fact, ScotlandsDNA seems to have also spun off a sister company called BritainsDNA (the two websites are identical apart from the name and I imagine the ScotlandsDNA one is merely a pointer to the Britains DNA site, since my results are up on both.) 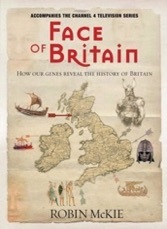 The founder, Alistair Moffat, has recently published a new book entitled The British: A Genetic Journey. So I asked for not only the YDNA and mtDNA test, but also the red head gene tests since they were offering that. I have just now had the the results of a test by this company (BritainsDNA) - although the mtDNA analysis and red head results came through fairly quickly, the YDNA analysis took several months - but it was worth it. I have given all the BritainsDNA results and their take on the story behind my ancient ancestry on different pages to distinguish them from the Oxford Ancestor’s results. Although I have tried to edit the earlier pages to avoid confusion with the two sets of results, it is possible that I may need to look at them again to more thoroughly to harmonise things a bit better. My data is in the Oxford Ancestors’ database as well as in the BritainsDNA database where I have allowed them to use it for comparative purposes. I have also entered the Oxford Ancestors results into Ysearch (and will add it to more such databases) so that others may compare theirs with mine. There is one other Raitt in the latter database (from Canada) and we have several matches – and there are also a couple of non-Raitts who have exact matches with all fifteen of my markers! I will create a separate page with the information on these people and I invite other Raitts to also provide me with their DNA results to add to this site. For good measure I also had my DNA test by Ancestry, who besides giving my ethnicity, also indicate scores of relationships with people possessing similar DNA, as well as hints of members in the family tree. I subsequently downloaded the raw DNA file from Ancestry and uploaded this to several other sites in an effort to make my tree and DNA known to others. Details can be found on the separate Ancestry and others page.